Almost a month ago I posted some earring styles I was playing with. I haven't gotten to the point of comments following in on my blog yet but through facebook and friends they encouraged me to put them out there. 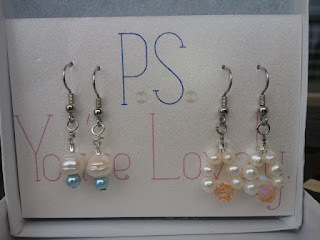 I posted on my Facebook Fanpage The Perfect Pair Collection was now for sale late this past Wednesday night. I was totally putting it out there on faith. 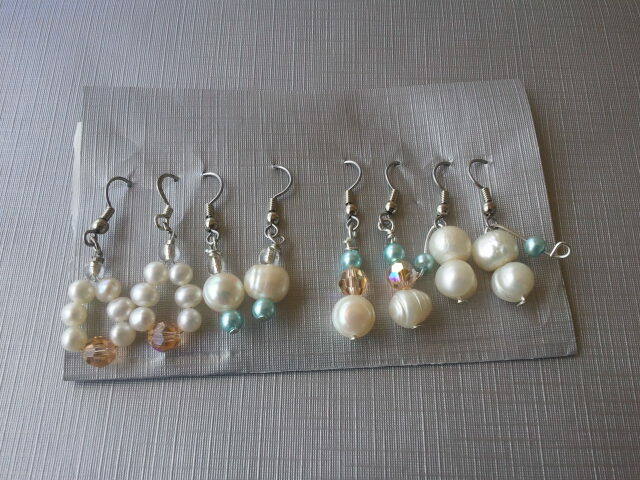 I woke up Thursday morning to a very surprising Facebook message from Ellie, the best friend of one of my past brides, she was interested in purchasing TWO pair of my earrings. It might sound so small but it truly made my day. She was planning on giving them to a friend as a birthday present during their cruise to Cancun and needed them quickly since she was leaving Tuesday. I was able to finish the order and delivery it personally so I could guarantee it would make it to her on time. She loved them and to be there to see her first impression touched my heart. I can''t wait to hear what the birthday girl thinks about them! If you're on my newsletter mailing list you can expect an email introducing the collection officially and they'll be posted to their own special page on the blog soon enough. 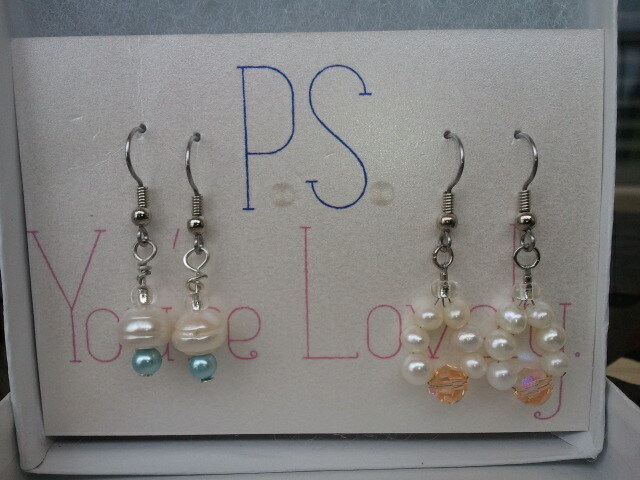 The earrings currently in this collection are $8 each or two pair for $12. I hope you love them as much as I do and look out for more things to come in the next month. I'm so excited!